An Aladdin’s den stuffed with vinyl records that’s hidden away inside an SSP residential building. 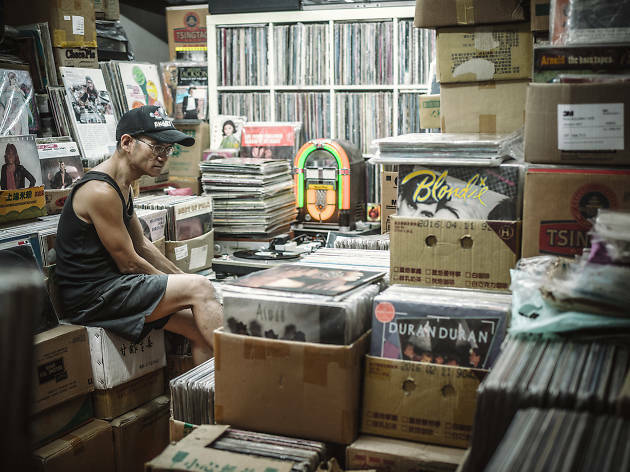 Tucked away in a residential building on busy Cheung Sha Wan Road is the whopping treasure trove that is Ah Paul's record collection. In a small, cozy space, Paul has stacked to the roof boxes upon boxes of records from vinyl's heyday in the 70s and 80s, spanning all genres for the discerning ear. Sham Shui Po MTR, exit C1.